There's also the safety and security of your product inventory to consider, both in the back stock room area and out in the front end retail merchandising area, where safe pharmacy design depends on the quality and proper installation of your shelving and other fixtures. Installation of cameras, motion detectors, and other alarms to notify you and authorities of any break-in should be undertaken. Alarm systems should include panic buttons for employee use in case a robbery is attempted during store hours. Alarm codes should be kept on a strict need-to-know basis and be changed regularly. Bells or chimes should be used on entryway doors to signal the door being opened at any time during business hours. Cameras should be set to cover all entrances and exits, both inside and out. 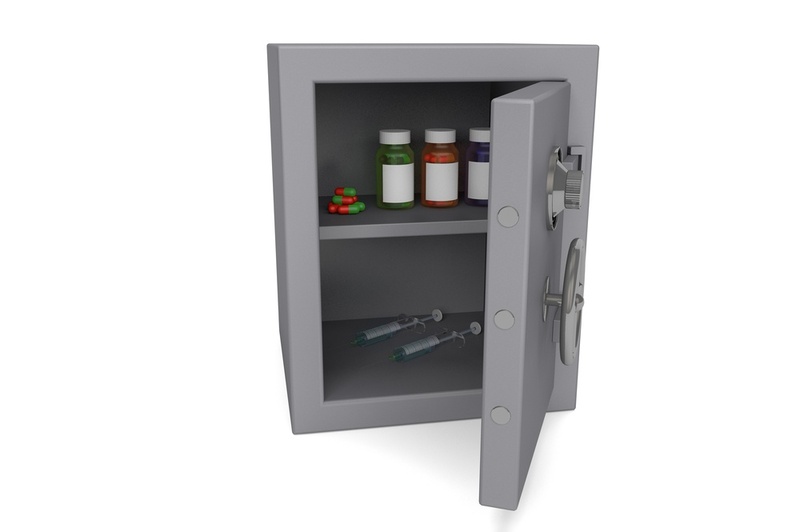 They should also cover any high-risk spots, such as the prescription counter, dispensing area, and cabinets or safes holding controlled substances. Video data storage should be held in a secure, locked cabinet or, ideally, off-site. Extending safety and security to your clients will require taking several avenues. 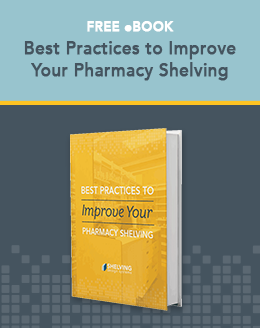 Your pharmacy design should include shelves and other fixtures that are solid, safe, and that make shopping for the various products easy without the need for assistance. This means shelf heights that are within easy reach, aisles that are wide enough to accommodate customers traveling both ways without bumping into each other, and clear, unobstructed pathways throughout the merchandising area. Safety and security regarding dispensing of medication requires attention to detail in several areas. Available software can be used in conjunction with information garnered from patients to guard against potential adverse drug interactions. The use of a variety of automated dispensing equipment can help in not only creating a smoother and more efficient workflow, but also more accurate pharmaceutical dispensing operations. This frees up the pharmacist to spend more time in patient care activities that can enhance their safety and welfare. Additional technologies can be utilized, such as e-prescribing and the incorporation of EHRs (electronic health records), to make sure that patients' prescriptions are in accordance with their condition and their patient profile. Other technological advancements allow for the automation of important tasks, such as the tracking and accounting of drugs (especially Schedule I and II controlled substances). Standing security measures for the receipt and safe storage of these items must be followed and drug safes utilized for their proper storage. There are countless factors that affect the safety and security of your pharmacy, only some of which we've touched on here. There is an ongoing potential for drugs to be diverted for criminal purposes, and this should be addressed at all times. Any unsafe conditions in your store should be dealt with immediately.